Back in 1957, Paramount sold most (but not all) of its pre-1948 film library to Universal for some quick cash (at the time, Paramount was ailing, financially). Thus, a number of Paramount films are now distributed by Universal, under their corporate and home video label […] Paramount no longer owns the rights to these films. There’s a review from the New York Times here. Also released on DVD on March 2nd is the SyFy miniseries Alice (list price $19.99), which originally aired last December. Jonathan Miller’s 1966 adaptation was issued on DVD (featuring John Gielgud, Peter Cook, Peter Sellers; list price $14.98). I noticed that Amazon has a deal selling all three for $38.97, the price of which won’t even get a family of three into the IMAX to see Tim Burton’s Alice in Wonderland in 3D. Now, several tie-ins to the Disney movie were also released March 2nd: several hot new video games for Nintendo Wii (list price $39.99), Nintendo DS (list price $29.99), and a Disney Interactive computer game for PC ($19.99). The movie soundtrack by Danny Elfman was released on March 2nd (list price $18.98). And merchandise, merchandise, merchandise, too much to mention here. In 2006, award-winning author C.M. Rubin and her daughter, Gabriella Rubin (who are related to the Liddell family), began an incredible journey to create the ultimate book about the original Alice in Wonderland’s life. Their grand pictorial, biographic vision for the book involved collecting photographs spanning two centuries, reaching out to many celebrated Alice in Wonderland artists (including Vik Muniz, Annie Liebovitz, Mark Steele, Lizzy Rockwell, Helen Oxenbury, Frances Broomfield, Jeanne Argent, David Cooper, Bruce Fuller, Tatiana Ianovskaia, Jewel, and Tom Otterness), and connecting with museums, libraries and schools around the world. 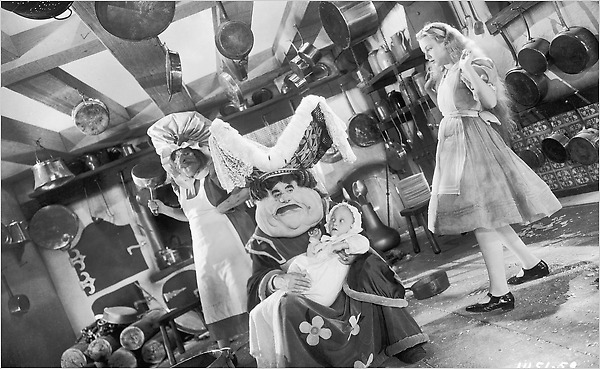 The Real Alice in Wonderland book is told using never before seen pictures along with prominent voices from Alice’s lifetime and from the present day. C.M. Rubin and her daughter Gabriella explore the theme of inspiration. Behind every great person there is the person who inspires and believes in him or her. The person who motivates them to realize their dreams. This magnificent cross-atlantic epic will fascinate you — it will make you think again: what does it mean to inspire? The Real Alice In Wonderland book is dedicated to all those who inspire the minds and souls of human beings. However, don’t miss Simply Read Books edition of Alice’s Adventures in Wonderland by Lewis Carroll, no longer out of print, with Iassen Ghiuselev’s unique and beautiful illustrations, reissued in hardcover on March 1st (list price, $24.95).